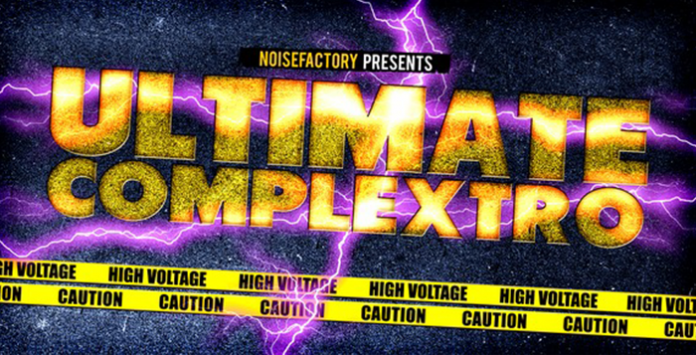 Noisefactory proudly presents “Ultimate Complextro“, which combines all of the four previously released “Complex Electro Tools” packs and the latest “Complex Electro Tools Extension” into one massive monster library. This heavy weight sample pack is filled up with tons of hard hitting drums, earth shaking drumloops, awesome fx and many more. You can expect to find not less than 1,8 GB of Complextro samples spread over 491 Drum Hits, 262 Drumloops, 202 FX, 133 Special Sounds, 110 Fragments, 272 Macrobits, 35 Synth Shots and 31 MIDI Files, over 1500 Samples in total. This stunning collection contains hundreds of production-ready samples, especially designed for Complextro, Electro House and Dubstep. All rhythm based samples and loops fit to the mastertempo of 130 BPM. Special Sounds, Macrobits and Synth Shots are key-labeled. Uplifters are categorized for 4/8/16 and 32 bars. No doubt this one is a giant! Get this ultimative Complextro Sample Kompendium. Note: This product is a collection of Noisefactory’s “Complex Electro Tools Vol. 1-4” and “Complex Electro Tools Extension”. All rhythm based sample material fits to 130 BPM. Special Sounds and Synth Shots are key-labeled. Apple Loops and REX Files included.